One week to Live @ Your Library! Happy New Year, jazz lovers! 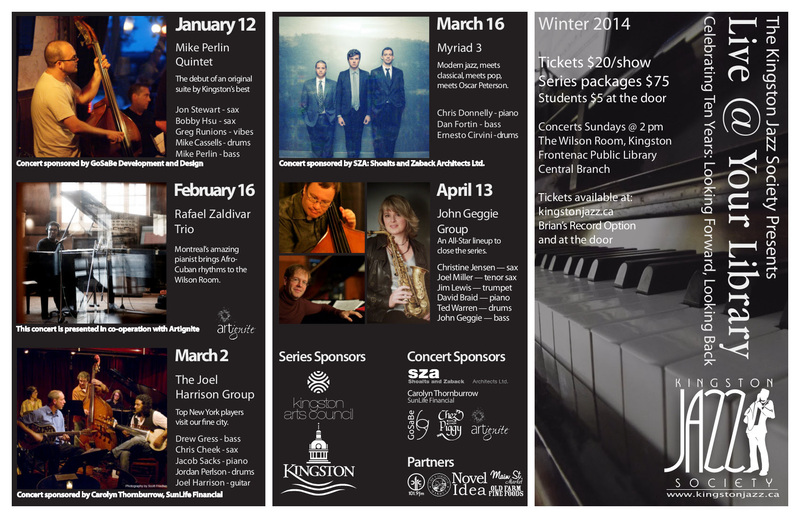 The first concert of the 2014 Live @ Your Library concert series is just a week away. Tickets for Sunday’s show are now available on-line, at at Brian’s Record Option, and will of course be available at the door. Series passes can also be purchased on-line or at the door on Sunday.